Day of the Capital is one of the public holidays in Kazakhstan. This holiday has been celebrated officially since 2009. Lithuania annually celebrates Statehood Day on July 6. This holiday commemorates coronation of Mindaugas in 1253, the first and the only King of Lithuania. Jan Hus Day is a public holiday in the Czech Republic. 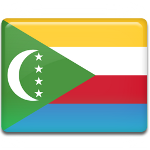 It's annually observed on July 6 to commemorate the death of the religious reformer in 1415. 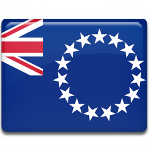 The Cook Islands annually celebrate the holiday of Ra o te Ui Ariki on July 6. The name of this holiday can be translated to English as “Day of high chief council”. Malawi annually celebrates its Independence Day on July 6. 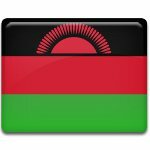 On this day Malawi proclaimed independence from Great Britain. Most Buddhist holidays are observed according to the lunar calendar. However, there are several exceptions. 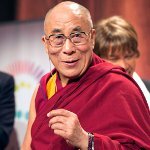 For example, Tibetan Buddhists celebrate the Dalai Lama’s birthday on July 6 in the Gregorian calendar. Many countries around the world have tradition to celebrate Teachers' Day to commemorate work of teachers. For instance, this holiday is annually observed in Peru on July 6. Arbor Day is celebrated in Chile every year on July 6. 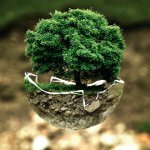 This event attracts thousands of people who want to participate in improvement of environmental situation of their country. Millions of trees are annually planted across India during the National Festival of Trees Planting (Van Mahotsav) in India. The festival lasts for one week and it corresponds to the well-known tradition of Arbor Day in other countries. 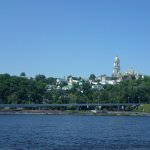 Dnieper Day is an unofficial ecological observance held on the first Saturday in June each year. It is celebrated in Russia, Ukraine and Belarus because the Dnieper River flows through these three countries. 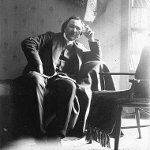 On July 6 each year, the Finns celebrate the birthday of Eino Leino, an outstanding poet who is considered one of the pioneers of the Finnish-language poetry. His birthday is a celebration of poetry and summer. Nearly every cuisine has its own version of fried chicken. For example, in the United States this dish typically consists of chicken pieces which are battered, breaded, or flowered and then deep fried, pan-fried, or broasted. 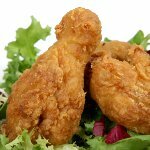 Americans even celebrate National Fried Chicken Day on July 6.
International Day of Cooperatives is an annual United Nations observance held on the first Saturday of July. 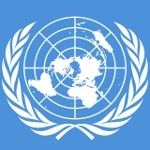 It was proclaimed by the UN General Assembly in December 1992 to raise public awareness on cooperatives. July 6 is World Kissing Day (also known as World Kiss Day and International Kissing Day). This holiday was born in Great Britain, where it was unofficially celebrated since the 19th century. 2005 Died: Claude Simon, Malagasy-French author, Nobel Prize laureate. He is best known for novels The Battle of Pharsalus and The Flanders Road. 2003 A METI message (Messaging to Extra-Terrestrial Intelligence) was sent to five stars Hip 4872, HD 245409, 55 Cancri, HD 10307 47 Ursae Majori by the Eupatoria Planetary Radar. The message will arrive to the stars in 2036, 2040, 2044 and 2049 respectively. 2002 Died: John Frankenheimer, American director, producer, and screenwriter, best known for his social dramas Birdman of Alcatraz, Seven Days in May, Seconds, Grand Prix, Black Sunday and Ronin. He won four consecutive Emmy Awards and received a Golden Globe award and remembered for a unique style in Hollywood. 2000 Died: Władysław Szpilman, Polish pianist and composer, widely known as the protagonist of the Roman Polanski's film the Pianist (2002), based on the book The Pianist. 1997 Mass protests, riots and gun battles, lasting for 5 days, started in Northern Ireland as a response to the Drumcree conflict, a dispute over a yearly parade in the town of Portadown. 1995 Serbia began attack on the Bosnian town of Srebrenica, killing more than 8,000 Bosniaks. This action was called by then-UN Secretary-General Boutros Boutros-Ghali "the worst crime on European soil since World War II". 1988 167 oil workers were killed by an explosion on the Piper Alpha drilling platform in the North Sea. It became world's worst offshore oil disaster in terms of direct loss of life. 1976 Died: Zhu De, Chinese general and politician, one of the pioneers of the Chinese Communist Party and founder of the Red Army in China. He was one of the closest comrades of Mao Zedong. 1975 Born: Curtis James Jackson III, better known under stage name 50 Cent, American rapper, producer, and actor. He became one of the world's best selling rappers and rose to prominence with East Coast hip hop group G-Unit. 1971 Died: Louis Armstrong, American singer and trumpet player, a key figure in foundation of jazz. He shifted the focus of the jazz music from collective improvisation to solo performance. 1962 Died: William Faulkner, American author, Nobel Prize in Literature laureate for powerful and artistically unique contribution to the modern American novel. 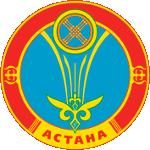 1957 The Wimbledon championships was won by Althea Gibson, who became the first black athlete to do so. 1951 Born: Geoffrey Rush, Australian actor and producer. He is best known for roles in films Shine, Shakespeare in Love, Quills, Pirates of the Caribbean, The King's Speech. He is one of the few people who have won an Academy Award, a Tony Award and an Emmy Award for acting. 1946 Born: Sylvester Stallone, American actor, director, and screenwriter. He is best known for Hollywood action roles in the Rocky and Rambo. 1946 Born: American businessman and politician, 43rd President of the United States, serving in the office from 2001 to 2009. 1944 168 people died and over 700 injured in Hartford, Connecticut, in the fire, that started in circus. This incident became one of the worst fire disasters in the history of the United States. 1925 Born: Bill Haley, American singer-songwriter and guitarist, author of million-selling hits like Rock Around the Clock, Alligator, See You Later, Sake, Rattle and Roll, Skinny Minnie. 1925 Born: Merv Griffin, American actor, singer, and producer, best known as the creator of the shows Jeopardy!, Wheel of Fortune, Click, Ruckus, and Merv Griffin's Crosswords. During his lifetime he was considered as an entertainment business magnate. 1919 A British dirigible R34 completed the first crossing of the Atlantic Ocean by an airship, landing in New York. 1914 Born: Vince McMahon, Sr., American wrestling promoter, best known as the founder of WWE, World Wrestling Entertainment. 1907 Born: Frida Kahlo, Mexican painter, best known by art connoisseurs for her self-portraits. Her work was recognized only after her death. 1907 Born: George Stanley, Canadian soldier, historian, and author. One of his major life achievements was designing of the current flag of Canada. 1903 Born: Hugo Theorell, Swedish biochemist, Nobel Prize in Physiology or Medicine laureate in 1955 for discovery of the oxidation enzyme and its effects. 1893 Died: Guy de Maupassant, French author and poet, one of the fathers of modern short story and one of the form's finest exponents. His first published story, Boule de Suif, is often considered to be his masterpiece. 1885 The first successful test of the vaccine against rabies was made by French chemist and microbiologist Louis Pasteur. He tested it on a boy, who was bitten by a rabid dog. 1854 Died: Georg Ohm, German physicist and mathematician. He discovered, that the current through a conductor between two points is directly proportional to the potential difference across the two points, which is now known as Ohm's law. 1614 The Ottoman Empire began its last unsuccessful attempt to conquer the island of Malta. The largest city of Malta Żejtun and its surrounding villages suffered a raid from Ottoman forces, but the raiders were beaten back to their ships. 1535 Died: Thomas More, English lawyer and politician. He opposed the Protestant Reformation, particularly the theology of Martin Luther and William Tyndale. He wrote and published Utopia about the political system of an ideal and imaginary island nation. 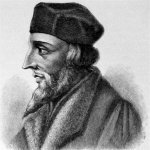 1415 Died: Jan Hus, Czech priest, philosopher, and reformer. Hus is considered to be the very first church reformer. Today he is commemorated as national hero in the Czech Republic. 1189 Richard I the Lionheart succeeded to the English throne.